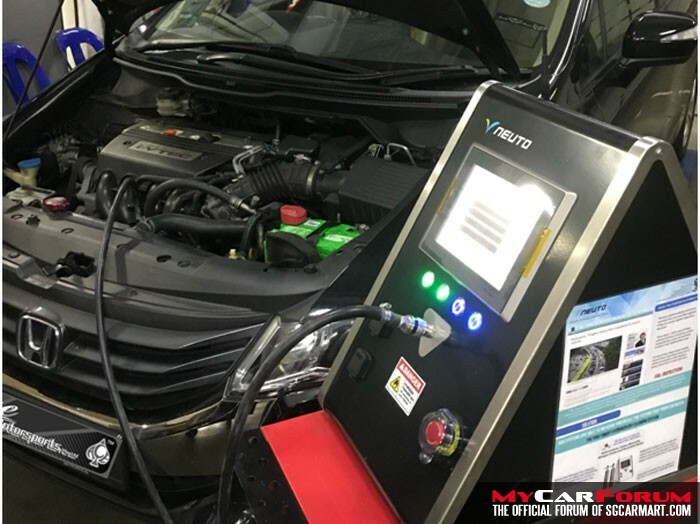 NEUTO Dry Hydrogen Auto Therapy is the world first Hydrogen Dry Cleaning System that can effectively diagnose, prescribe, monitor and clean the car engine with pure and dry Hydrogen Gas stored in the Solid State Metal Hydride Canister. It is exclusively invented for vehicles running on Internal Combustion Engines. NEUTO THERAPY removes stubborn micro molecular carbon layers at hard to reach places like air manifolds, piston rings, valves, and spark plugs without causing any damage to the car engine wall and components in the engine. NEUTO Dry Hydrogen Auto Therapy can naturally cleanse the car engine in the most sustainable organic way. Hydrogen is one part of the hydrocarbon molecules present in the fuel and it has higher heat capacity than carbon atom. When hydrogen gas enters the car engine compartment via vacuum inlet manifolds, it chemically reacts with the carbon deposits to form hydrocarbons such as Methane gas. Hydrogen reverses the carbonization process and improves the combustion efficiency close to perfection. The end products of the complete combustion are carbon dioxide and water vapor. This is a green and organic way to better clean the engine by converting the carbon deposits into hydrocarbons that get burnt away with no other pollutants or harmful byproducts to the environment. Hydrogen gas is stored in the Solid State Metal Hydride Canister. Metal hydride storage technology produces 100% dry and 99.9999% purity hydrogen gas. It has the highest hydrogen mass density at room temperature and much lower storage pressure compared to highly pressurize cthe ompressed gas tank and freezing temperature cryogenic hydrogen storage cylinder. Safety is never compromised. High purity of hydrogen gas also means that NEUTO THERAPY can effectively clean your car engine to breathe new life within 20 to 30 minutes of the process duration. No two cars are exactly alike even with the same make of brand and model. Every car has different technologies, engine capacities, traveling mileages and most dynamically every human driver is uniquely different with his/her own driving habits and behaviors. 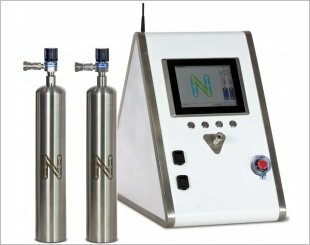 NEUTO THERAPY world first patented iEGA technology tailors every treatment for your car engine with precise control of dry hydrogen gas amount released at calibrated flow rate and optimal process duration. When the carbon deposits are effectively removed, car engine performance is restored and revived to its former glory. Symptoms of bad carbon buildups such as rough cold start, unpleasant engine noises and vibrations during idling or premature detonation conditions will improve significantly. You can expect maximum drivability performance in torque power and fuel efficiency improvement by 10-20% statistically. Due to varied engine technology used, capacity, mileage traveled and the unique characteristic of the driver habits and behaviors, no two cars is the same. Our first in the world patented iEGA technology customized treatment tailored to your car at the right hydrogen flow rate within an optimum duration defined. The Best Engine Doctor you could ever have Restore and Revive We care for you and your car. 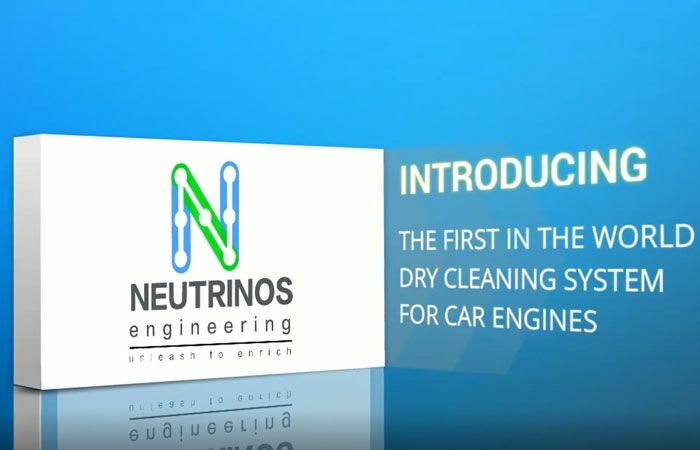 NEUTO is the world first patented Smart Hydrogen Dry Cleaning System that can effectively DIAGNOSE, PRESCRIBE, MONITOR and CLEAN the car engine with pure and dry Hydrogen Gas stored in the Solid State Metal Hydride Canister. It is exclusively invented for vehicles running on Internal Combustion Engines. 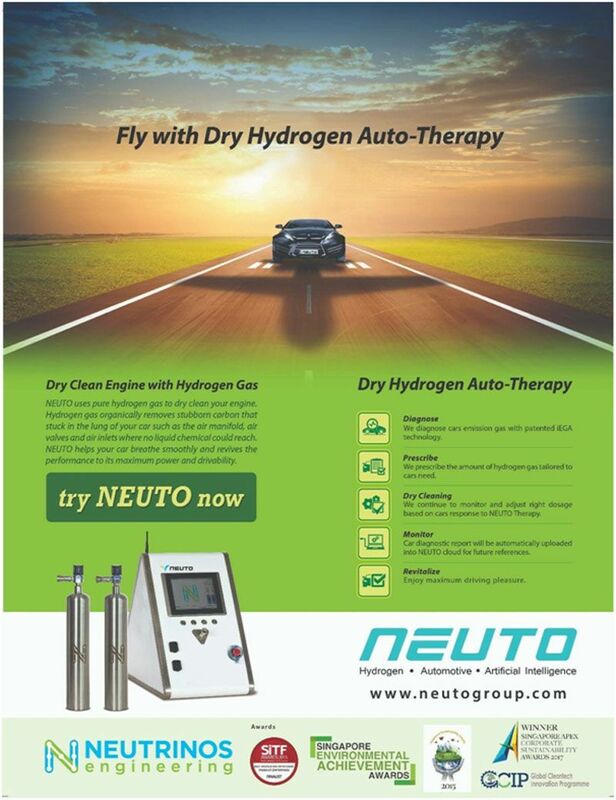 NEUTO DRY HYDROGEN AUTO-THERAPY is the cleaning service and treatment provided by NEUTO system. Dry Hydrogen Auto-Therapy removes stubborn micro molecular carbon layers at hard to reach places like air manifolds, piston rings, valves, and spark plugs without causing any damage to the car engine wall and components in the engine. NEUTO Dry Hydrogen Auto Therapy can naturally cleanse the car engine in the most sustainable organic way. Hydrogen is one part of the hydrocarbon molecules present in the fuel and it has higher heat capacity than carbon atom. When hydrogen gas enters the car engine compartment via vacuum inlet manifolds, it chemically reacts with the carbon deposits to form hydrocarbons such as Methane gas (CH4). Hydrogen reverses the carbonisation process and improves the combustion efficiency close to perfection. The end products of the complete combustion are carbon dioxide and water vapour. Hydrogen gas is stored in the Solid State Metal Hydride Canister. Metal hydride storage technology produces 100% dry and 99.9999% purity hydrogen gas. It has the highest hydrogen mass density at room temperature and much lower storage pressure compared to highly pressurise compressed gas tank and freezing temperature cryogenic hydrogen storage cylinder. Safety is never compromised. 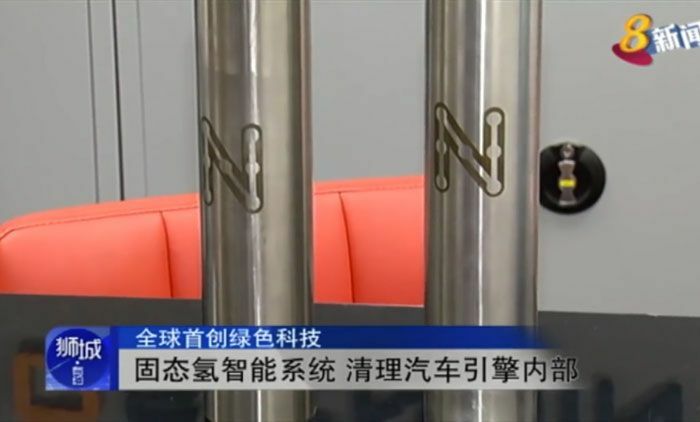 High purity of hydrogen gas also means that NEUTO Therapy can effectively clean your car engine to breathe new life within 20 to 30 minutes of the process duration. No two cars are exactly alike even with the same make of brand and model. Every car has different technologies, engine capacities, travelling mileages and most dynamically every human driver is uniquely different with his/her own driving habits and behaviours. NEUTO Therapy world first patented iEGA technology tailors every treatment for your car engine with precise control of dry hydrogen gas amount released at calibrated flow rate and optimal process duration. When the carbon deposits are effectively removed, car engine performance is restored and revived to its former glory. Symptoms of bad carbon buildups such as rough cold start, unpleasant engine noises and vibrations during idling or premature detonation conditions will improve significantly. You can expect maximum drivability performance in torque power and fuel efficiency improvement by 10-20% statiscally. How does NEUTO Therapy work? Emission Gas Analysis (EGA) resembles blood test to cars. With built-in emission gas analyser, NEUTO assesses the exhaust gas compound to diagnose your car health. Based on the EGA results, NEUTO calibrates and prescribes the right amount of hydrogen gas suitable for your car. NEUTO dry cleans your internal combustion engine at hard-to-reach places like air manifolds, air valves, air inlets and spark plugs where only hydrogen gas can reach. NEUTO uses world first patented iEGA Technology to continuously monitor the car reaction and response to Dry Hydrogen Auto Therapy within a closed-loop feedback system and automatically adjusts the required amount of dry hydrogen gas. Full graphical data report of NEUTO Therapy is automatically filed onto the cloud system for easy reference and historical event investigation. After using NEUTO Dry Hydrogen Auto Therapy, your car engine is now cleansed and revitalised. 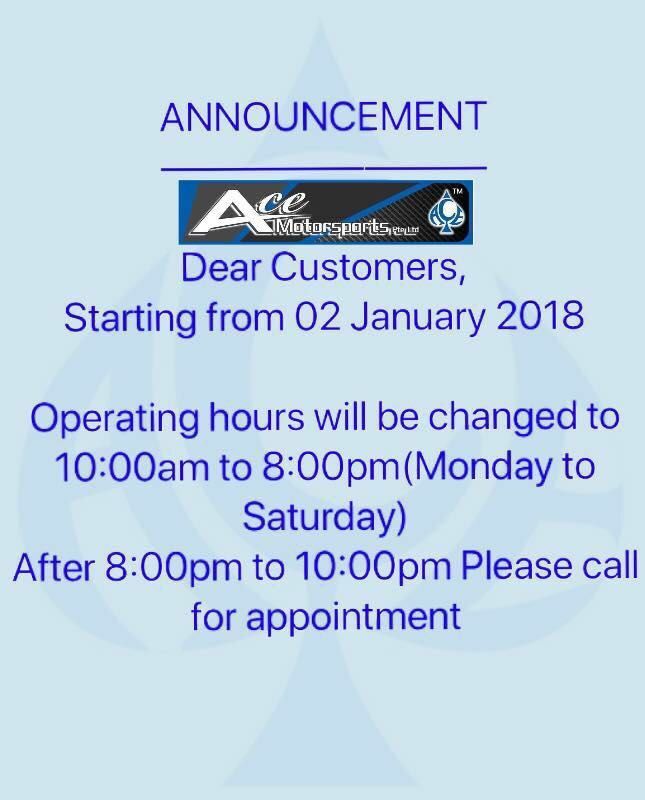 Check us out on our website for more information. I am interested in the "Neuto Dry Hydrogen Auto-Therapy".